Liz Craft's "Weed Couch" Now Installed at Google - Yo! Venice! Venetian artist Liz Craft’s “Weed Couch”, which was recently exhibited as part of the Hammer Museum’s “Venice Beach Biennial“, has been loaned by the artist to Google and now resides at Google’s Venice Campus at 340 Main Street. 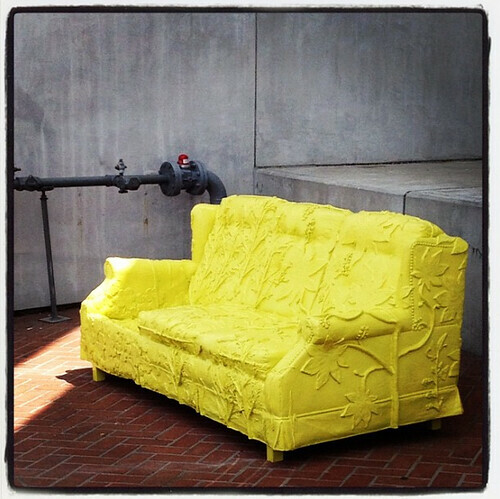 “Weed Couch” was made possible by a grant from the LA Arts Development Fee Program of the Department of Cultural Affairs.